Every Tuesday, Tulalip Family Haven hosts a two-hour gathering for expectant, new and experienced moms, as well as grandmothers and aunties who are currently caring for their younger loved ones. Known as Moms Group, the class was created over ten years ago in an effort to build community and empower local women of all ages who are raising children. 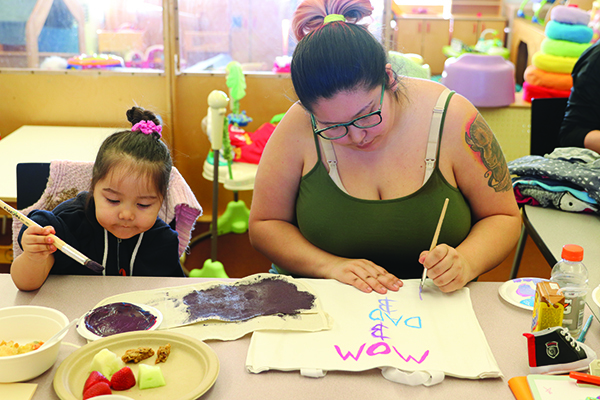 The program is currently hosted at the old Tulalip elementary and has continued year-round since originally debuting, delivering a positive and powerful experience for its participants throughout the years. The group enjoys a home cooked meal prepared by Sasha at the beginning of each gathering while catching up with one another. The moms then participate in daily activities such as crafting, working on their baby books or simply taking in wisdom from a variety of guest speakers. Sasha explained that the group members participate in an incentive program in which they create baby books. Moms take the time to recount the events that happened during the week and mark down whenever they performed a positive task, whether it was in the best interest of their family, such as taking their child to their doctor’s appointments, or if they set aside some time to recalibrate, focusing on self-care with a relaxing bath or a refreshing walk outdoors. 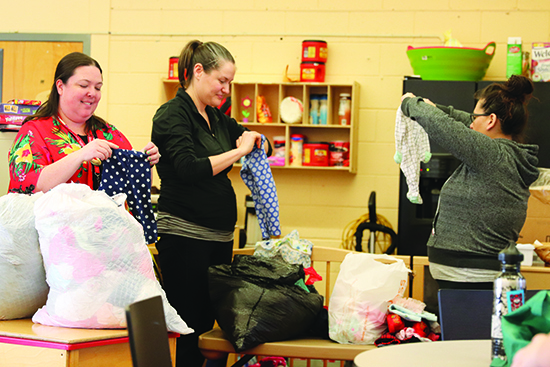 Their points are then tallied and converted into a credit in which the moms can spend at the Moms Group store, purchasing essential items such as diapers, clothing and car seats. 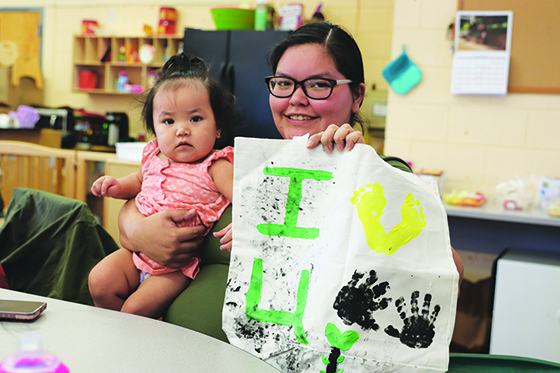 Moms group, by extension of Family Haven, is currently in a partnership with Tulalip Community Health and WIC (Women, Infants and Children supplemental program) to help young mothers learn and sign-up for the WIC program, providing rides to those moms in need of transportation to the monthly WIC event in Tulalip. And as an added bonus, those who attend three WIC events receive a gift card incentive. Kids are welcome to tag along with their moms to the group. One mom notes that it’s an excellent way for her children to interact, meet and have fun with other youth of the community. On special occasions, participants bring in their newborns to meet the ladies of the group whose voices they heard during their mother’s pregnancy while she attended Moms Group. Family Haven would like to send a shout out to the Tulalip Charitable Fund who continues to support Moms Group by funding a program where moms can learn from each other’s experiences and lend advice, as well as few tips and tricks to other mothers who are bringing up the future generations. For more information about Moms Group or the monthly WIC event, please contact Family Haven at (360) 716-4402.